This illustration shows Florence Crawford Capper (1868-1926). The daughter of Kansas' third governor, Samuel Johnson Crawford and his wife Isabel Chase Crawford, Florence was the first daughter to be born to a Kansas Governor while in office. In 1870 Samuel Johnson Crawford named the Marion County, Kansas town Florence after his daughter. On December 1, 1892, Florence married Arthur Capper who would become the twentieth governor of Kansas in 1915. 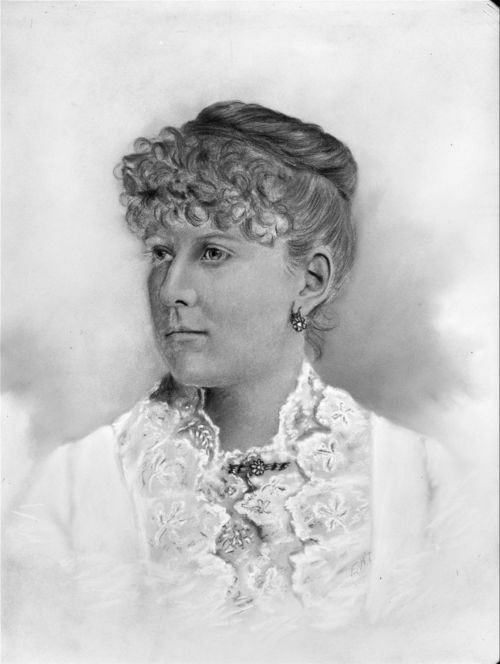 When Arthur Capper was elected to the U. S. Senate, Florence moved to Washington, D. C. with him where she lived until her death.